The Amazon Rewards Visa® Signature Card is a decent credit card on its own, but it’s a no-brainer if you’re an Amazon Prime member. Considering that nearly half of U.S. households have Amazon Prime, according to Kantar Consulting, the Amazon Rewards Card is an excellent choice for anyone who shops on Amazon regularly. The card’s great cash-back rates make it easy to rack up rewards, and it even offers surprising travel perks—all for an annual fee of $0. Here’s what you need to know before you apply. Bottom Line: Should You Apply for the Chase Amazon Credit Card? If you’re a subscriber to Amazon’s annual membership, you’ll get 5% cash back at Amazon.com and Whole Foods Market. No other card offers that high of a rewards rate year-round on Amazon purchases. If, however, you’re not a Prime member, your rewards rate will be only 3%, making the card less valuable. You can redeem your hard-earned rewards directly through your Amazon.com account at checkout. Alternatively, you can redeem your points for cash back, gift cards, or travel through your online Chase account. Not many cash-back credit cards offer travel protections and benefits, but this one does. The card doesn’t charge any foreign transaction fees, and also comes with baggage delay insurance, lost luggage reimbursement, and travel accident insurance. Normally, you find such perks on premium credit cards, but you’ll almost always have to pay an annual fee. Not with the Amazon Rewards Card. You’ll only get 2% cash back at restaurants, gas stations, and drugstores, which is less than what you could get with several other cash-back and travel rewards credit cards. The Amazon Rewards Card is great for Amazon.com and Whole Foods Market purchases, but you may want a second card for other purchases. The size of the card’s sign-up bonus will depend on whether you’re a Prime member or not. That means you’ll get $70 for Amazon Prime members, and $50 for non-members. 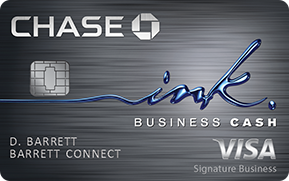 Both options are far below the sign-up bonuses available on some of the best cash-back credit cards out there. A lot of cash-back credit cards offer a 0% APR promotion on new purchases, balance transfers, or both. This one doesn’t offer the benefit on either. If you’re not sure whether the card is right for you, here are some others to compare it to. If you like the idea of getting 5% back, but don’t have an Amazon Prime membership, the Chase Freedom® is worth considering. The card offers 5% rotating bonus categories, which have historically included grocery stores, Amazon.com, gas stations, drugstores, and more. 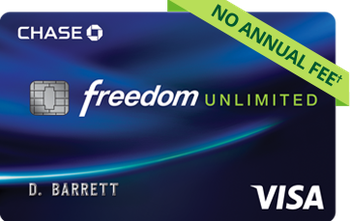 The Chase Freedom® also offers a bigger sign-up bonus and comes with an introductory 0% APR. If you’d rather have a high rewards rate on all your purchases instead of dealing with bonus categories, the Citi® Double Cash Card is a great choice. It offers 1% cash back on every purchase, and another 1% back when you pay it off. It also comes with a long introductory 0% APR promotion on balance transfers. If you want a high rewards rate on all your online shopping, go with the Bank of America® Cash Rewards Credit Card. The card offers 3% cash back in the category of your choice, which includes online shopping. You’ll also get bonus rewards at grocery stores and wholesale clubs, a sign-up bonus, and an introductory 0% APR. How do I know if it’s worth it to get Amazon Prime for the card? The card offers 2% more cash back if you’re an Amazon Prime member. As of February 2019, Amazon Prime costs $119 per year, which means you’d need to spend at least $5,950 on Amazon.com and at Whole Foods Markets to make up for that membership fee. Of course, you’ll also get benefits in the form of free shipping and access to other Prime perks, so keep that in mind too. Is the Chase Amazon Credit Card a store credit card? It is considered an open-loop store credit cards. Amazon also offers the Amazon Store Card, which you can use only on Amazon.com purchases and is a closed-loop store card. 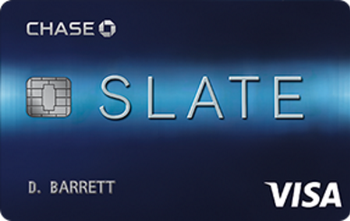 With this one, however, you can use your card wherever Visa is accepted. Is it hard to get approved for the Chase Amazon Credit Card? To qualify for the card, you need to have good or excellent credit, which generally starts at a credit score of 670. Is the Chase Amazon Credit Card a store card? No, the Amazon Rewards Card is a normal credit card. Amazon also offers a store card through Synchrony Bank, called the Amazon.com Store Card. If you’re an Amazon Prime member, the Amazon Rewards Card provides an excellent way to earn more cash back whenever you shop on Amazon. That said, its rewards rate on other categories isn’t great, and the sign-up bonus is underwhelming. As a result, the card is best used in tandem with another credit card that can give you better rewards rates on non-Amazon.com purchases. If you’re in the market for better rewards, be sure to try out the CardCruncher tool—it’s the easiest way to see which card will give you the best rewards based on your spending habits. Don't see what you're looking for? 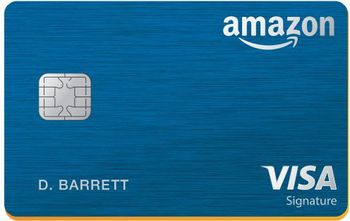 Ask a question here about Amazon Rewards Visa® Signature Card Review: Prime Members Earn Great Cash Back and one of our experts will get back to you.